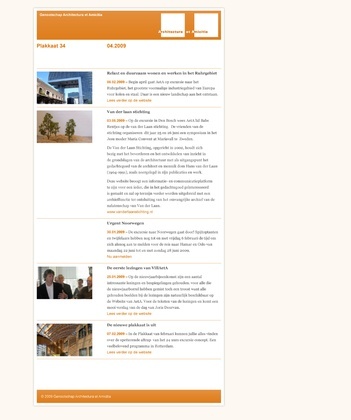 After testing for a little while, the organization Architectura et Amicitea has launched her newsletter, developed with Visualspace’s newsletter application, Nieuwsbrief (Newsletter). Until recently, the more than threehundred members would receive their newsletter in PDF format, but until recently they may also receive it as an email. Newsletter has been developed as an open source application. This means that otherv parties are able to use the application as well, and improvements are automatically offered to other users. Are you interested in using Newsletter? Please contact us at info@visualspace.nl.